Jack Lowden is a Scottish film and stage actor who gained widespread popularity with his role as Nikolai Rostov in the 2016 BBC miniseries War & Peace. As an experienced stage actor, Lowden continued to win hearts with his promising performance in films like Ghosts, Tommy’s Honour, England Is Mine and Calibre. He won the 2018 British Academy Scotland Award for Best Film Actor for his work in the movie Calibre. In 2018, he played the role of Lord Darnley in the historical drama film Mary Queen of Scots. Jack Lowden was born on June 2, 1990 in Chelmsford, Essex, England, UK. Jack was educated at the Earlston High School, where he participated in the school’s annual productions and concerts, such as Buddy Holly in Buddy – The Buddy Holly Story. At 10, he went to the Scottish Youth Theatre in Edinburgh. He attended summer school at the Royal Academy of Dramatic Arts in London, England and went on to graduate with a BA degree in acting from the Royal Scottish Academy of Music and Drama in Glasgow in 2011. While he was young, he took dance lessons at Manor School of Ballet, but he was more interested in acting otherwise. Jack parents are Gordon Lowden and Jacquie Lowden. Unlike him, his younger brother Calum Lowden is a ballet dancer. He learned ballet from the Manor School of Ballet in Edinburgh, and later trained at the English National Ballet School and the Royal Ballet School in London. He is a first soloist at the Royal Swedish Ballet, as of 2016. Jack Lowden is linked to Irish actress Saoirse Ronan in the past. He is rumored to be dating his Mary Queen of Scots co-star Saoirse Ronan in early 2019 after they spotted together in a south side pub in Glasgow. 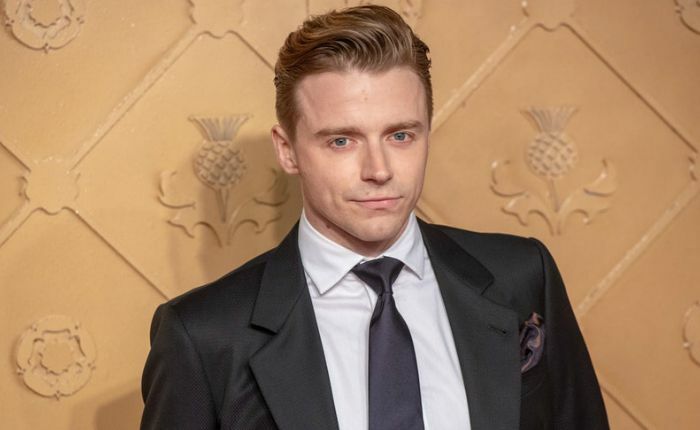 Jack Lowden made his onscreen debut in 2014 with the British historical thriller film ’71’, in which he played the role of Thompson. Set in Northen Ireland, the film chronicles the story of a British soldier who becomes separated from his unit during a riot in Belfast at the height of the Troubles in 1971. Directed by Yann Demange, the film stars Jack O’Connell, Sean Harris, David Wilmot, Richard Dormer, Paul Anderson and Charlie Murphy. Jack earned his first television role as Nick Fairclough in a telvision series Being Victor in 2010. In 2014, Jack played Oswald in Richard Eyre’s adaptation of Ibsen’s Ghosts, for which he won the Olivier Award and the Ian Charleson Award. He played the title role in the 2016 historical drama film Tommy’s Honour. Based on the life of legendary Scottish golfing champion Old Tom Morris, actor Peter Mullan played the titular character while Jack played his son’s character. He was nominated for Best Film Actor at the 2016 BAFTA Scotland Awards for his work in the movie. Jack landed the role of Nikolai Rostov in the 2016 BBC miniseries War & Peace. It was hit all over the world, and in fact, it was the 6-part miniseries that brought him fame and recognition. In 2018, he won the British Academy Scotland Award for Best Film Actor for his performance as Vaughn in the Scottish thriller, Calibre. His other remarkable work include Denial, Dunkirk, England is Mine, Mary Queen of Scots and The Tunnel. Information about his net worth and salary are currently unavailable. He started his professional acting career with a lead character, Cammy, in the National Theatre of Scotland’s revival production of the Olivier Award-winning play Black Watch. The team toured to several places between 2010 and 2011. At age 18, he appeared in a popular national television advertisement for Irn-Bru. Jack appeared in stage productions of Chariots of Fire, Ghosts and Measure for Measure. In June 2014 Screen Daily named Lowden one of the UK Stars of Tomorrow. Jack Lowden was a finalist in the entertainment category at the 11th Young Scot Awards in April 2016. In November 2016 the UK magazine The List featured Lowden as one of The Hot 100 2016. In 2017, He played Collins, one of the leading roles, in Christopher Nolan‘s epic war film Dunkirk. He starred alongside Hugh Jackman in the film Pan.